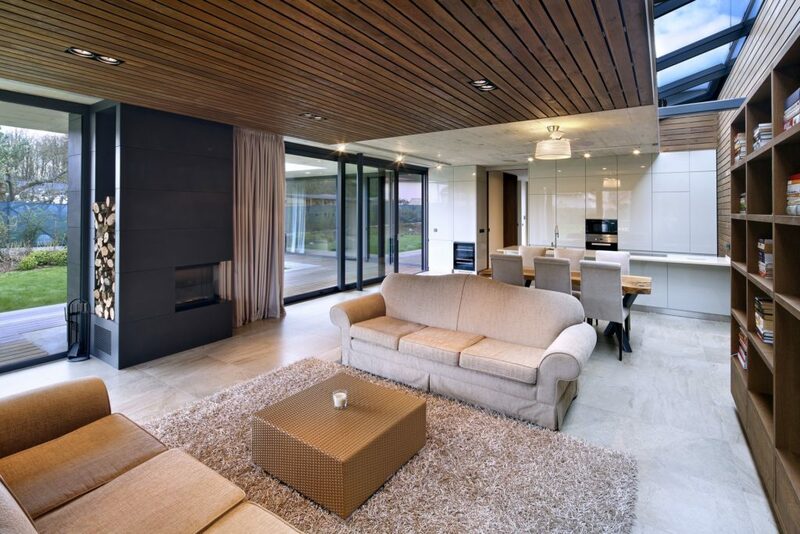 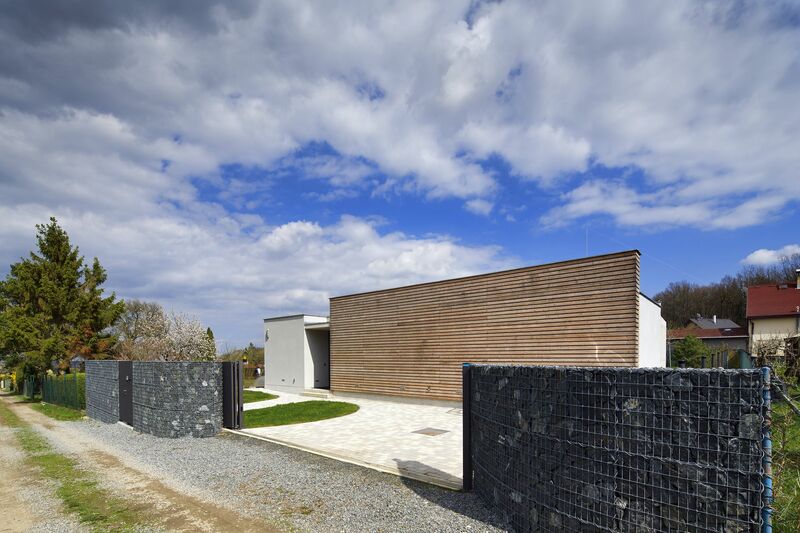 This modern interpretation of the Czech country residence has been designed as a summer retreat. 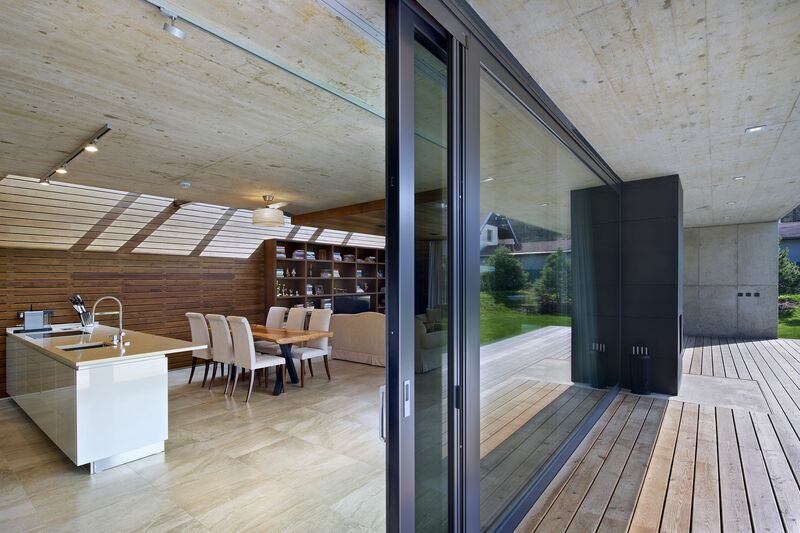 It incorporates purpose made decorative external panelling which folds away to reveal an all glass envelope when the owners are in residency. 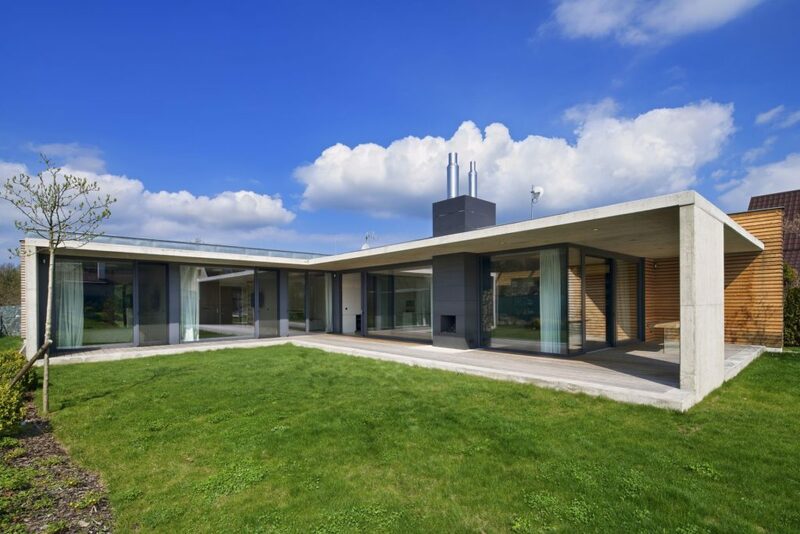 The building has an austere windowless frontage which contrasts with the fully open courtyard, emphasizing the transition between the public and private realms. 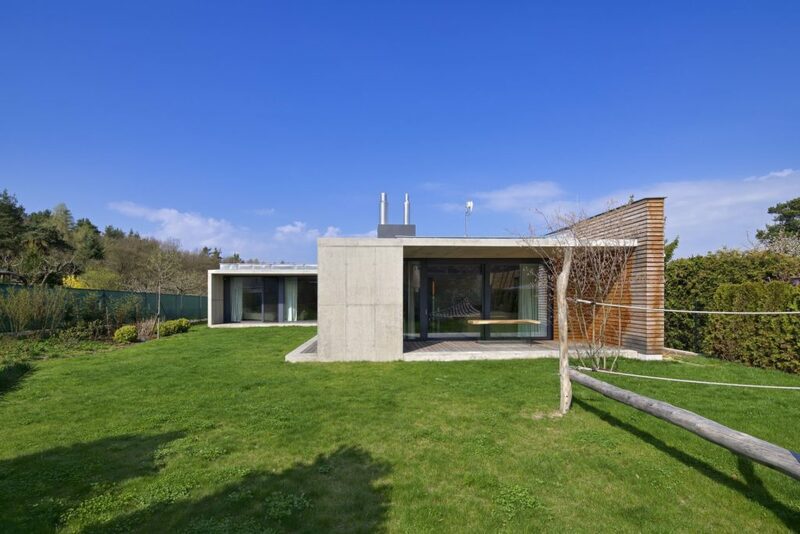 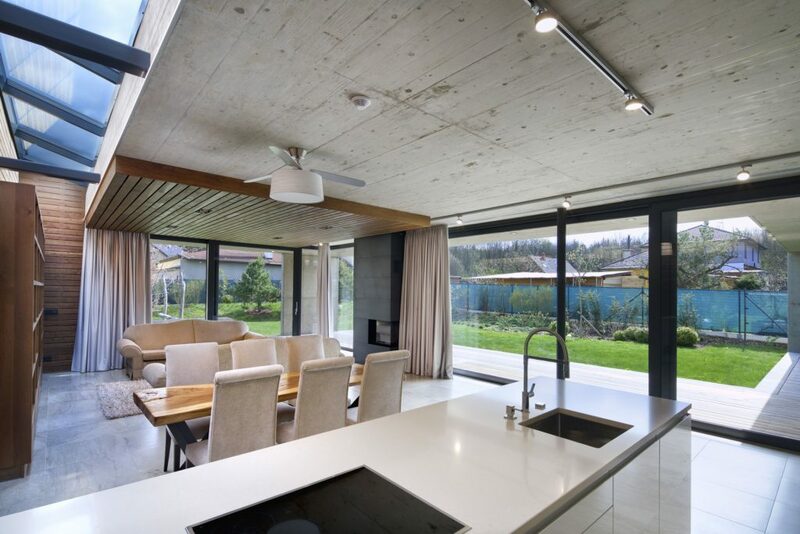 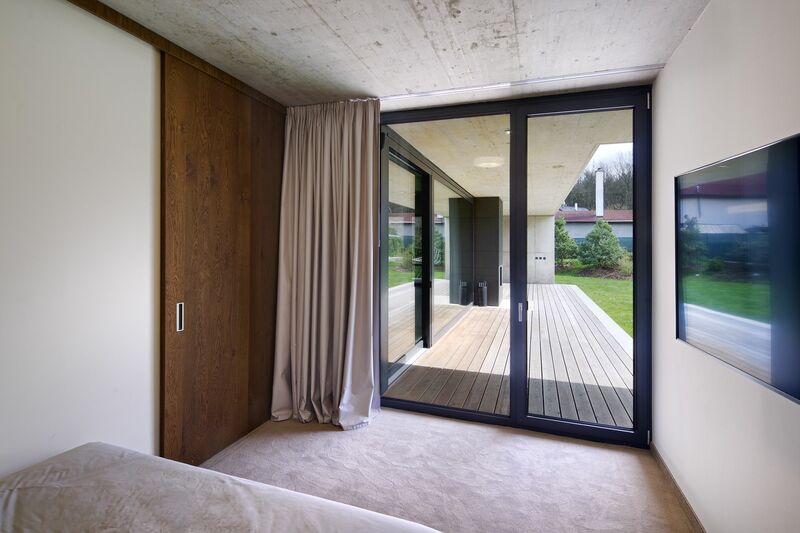 Fair faced concrete is used extensively both inside and outside, combining with timber cladding and dark grey framed windows as the main elements of the composition.